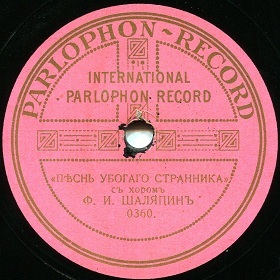 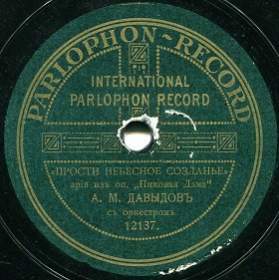 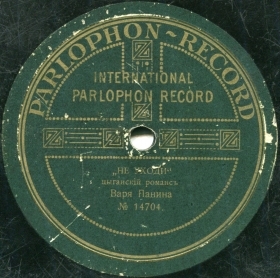 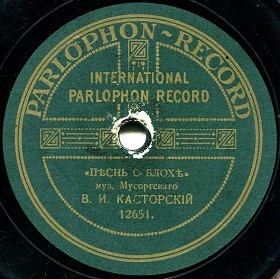 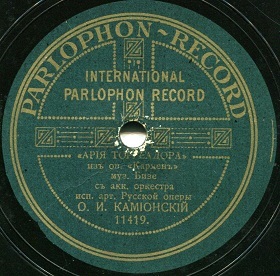 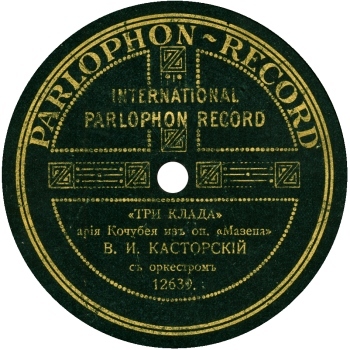 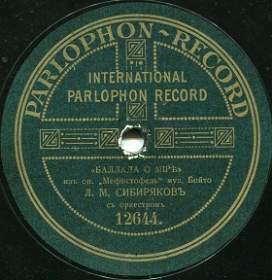 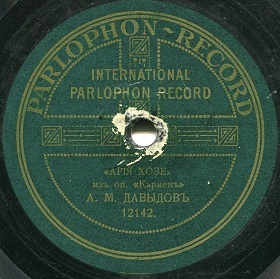 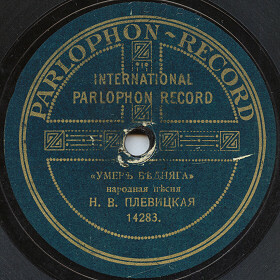 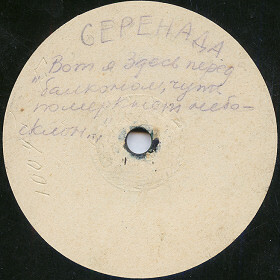 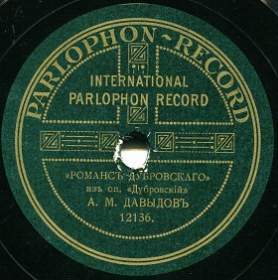 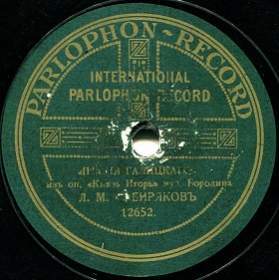 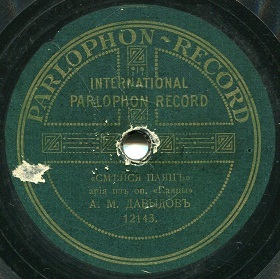 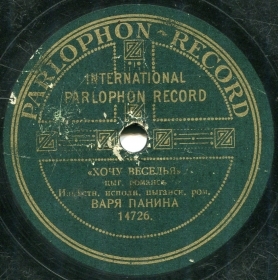 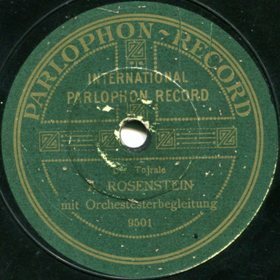 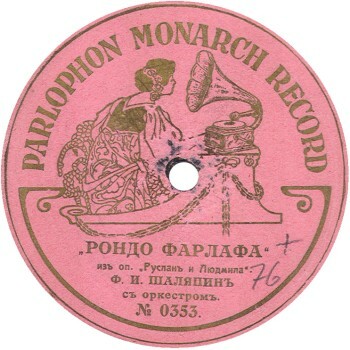 The author has no information about this label except brief mentioning in A.Zhelezny  and A.Tikhonov  books where it described as one of “piratical” labels that in the beginning of 20th century supplied records on Russian market. 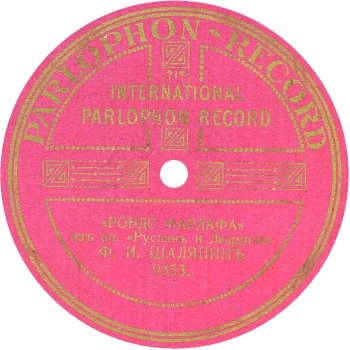 Similarity with Carl Lindström’s «Parlophon» suggests possible connection between these two, however neither proofs nor disproof of this hypothesis were ever found. 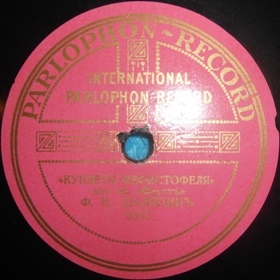 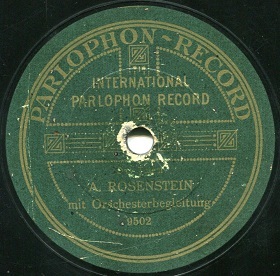 It is also curious to note the “mimicry” of this label under label of «Zonophone» that was not rare at that time. 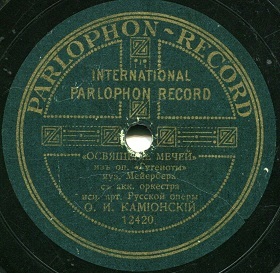 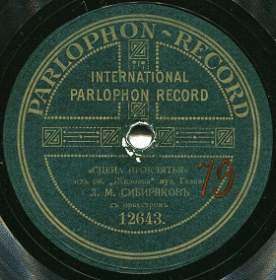 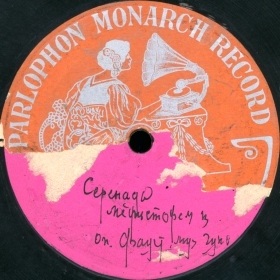 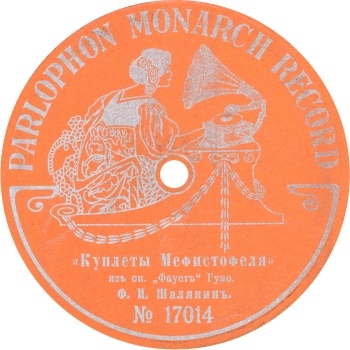 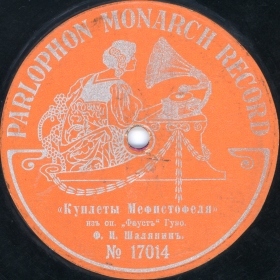 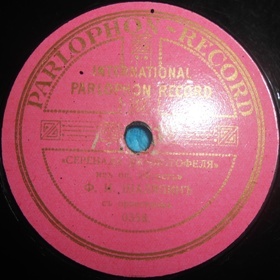 Parlophon Monarch Record (pink), Gramophone Co.
St.Petersburg International Parlophon (pink), Gramophone Co.
Paris Parlophon Monarch Record (pink), Gramophone Co.